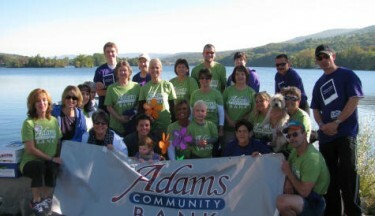 Adams Community Bank employees are proud to announce that we exceeded our fundraising goal of $12,000 and raised $13,613! Thank you to all of our customers and our community for supporting us in all of our fundraising efforts. This couldn’t be done without you and your generous support.